Drone racing is a new sport, exploding in popularity around the globe. If you're new to the sport of drone racing, check out the Drone Racing League to learn more about the premiere global drone racing circuit. If you are considering planning your own drone racing event, and have a significant understanding of consumer drones and drone technology, this website is for you. The information DRL provides on this website is provided for informational purposes only. Please see the disclaimer for more information. Also note, this website will be constantly updated as new information and practices to enhance drone racing safety become available. Please check back often for the latest information. Drone racing is an extremely exciting sport; however, as with all high speed racing sports, large-scale drone races come with risks that must be carefully managed. Done correctly, drone racing events are safe and fun, but achieving that result requires careful preparation and the right safety plans. what does it mean to create a safe drone racing event? On this website, The Drone Racing League shares their extensive experience in drone racing and event management, introducing a systematic approach to drone racing safety called, “The DRL Safety Protocol”. 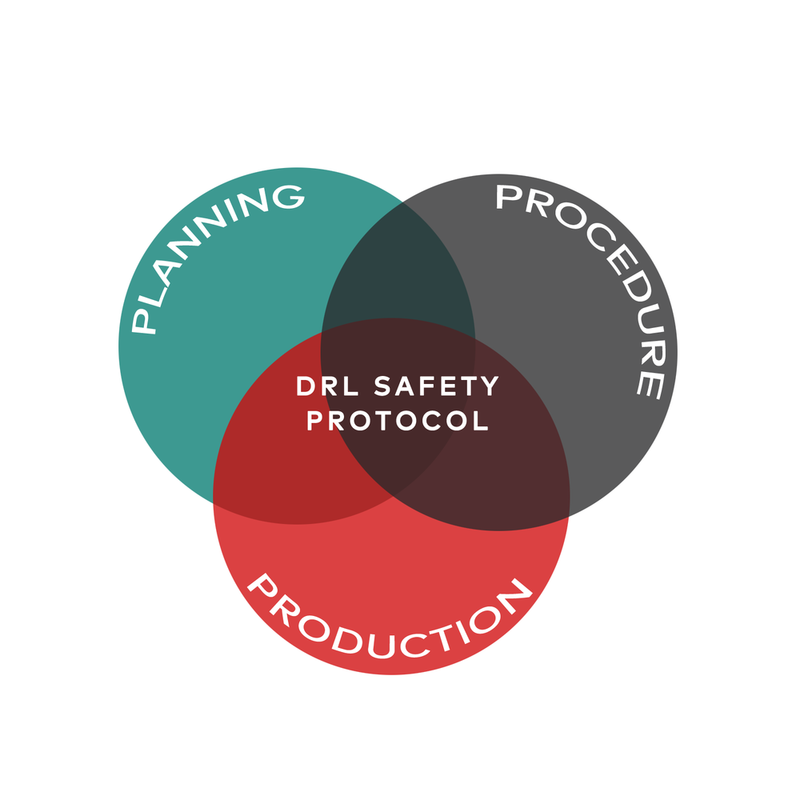 There are three key principles of The DRL Safety Protocol: Planning, Procedure, and Production. The site will address each of these principles of safety and discuss how they impact your drone racing event. The DRL Safety Protocol is based on the interdependence of these principles, so it is critical to review each one and understand their relationship. We suggest reading through this website at least twice to properly understand how all of the principles work together. None of the information provided on this site is meant to replace good judgment or common sense. Only you know the unique elements of your drone racing event, including your drones, participants, and race venue - You’ll need to adjust the details to suit your event. Also note that that information on this site is focused on events racing 250 class or smaller drones.